SULLIVAN COUNTY, NY (November 16, 2014) – Senator John Bonacic (Mt. 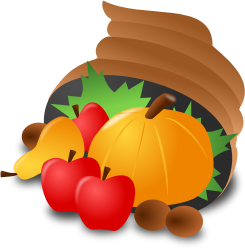 Hope – R/C/I) has announced the New York State Senate’s Thanksgiving Day Creative Celebration for children in grades K through 6. School districts throughout the state have been sent posters and details about the program which invites children to submit an original poem, one-page essay, or artwork expressing something from the past year that they’re thankful for. All submissions will be published online at the New York Senate website, and students from the 42nd district who participate will receive a certificate from Senator Bonacic. All submissions must be uploaded electronically (preferably jpeg or pdf format) via the Senator’s website at bonacic.nysenate.gov and clicking the Thanksgiving Day link on the left hand side of the page which directs you to the “What Are You Thankful For” online form; deadline for submissions is November 24.